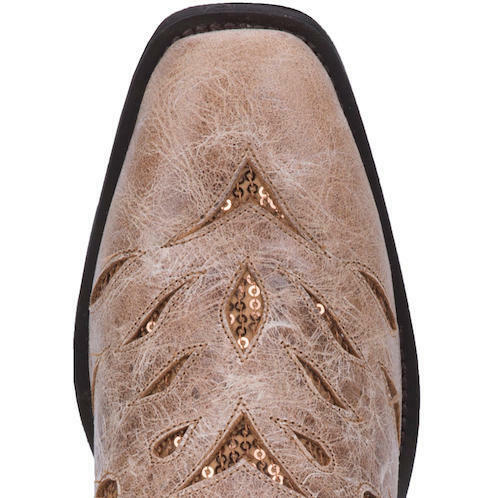 Glam it up with the Roxanne boot. 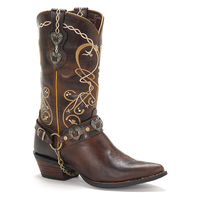 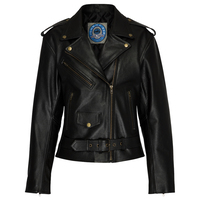 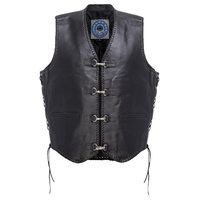 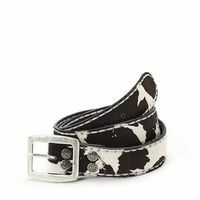 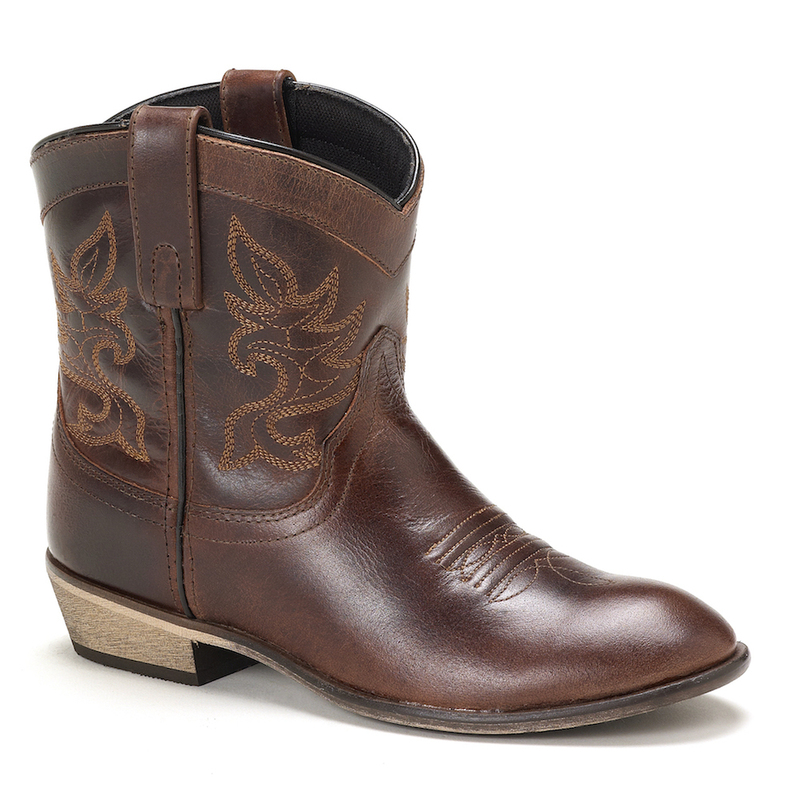 Made with a beautifully distressed tan leather. 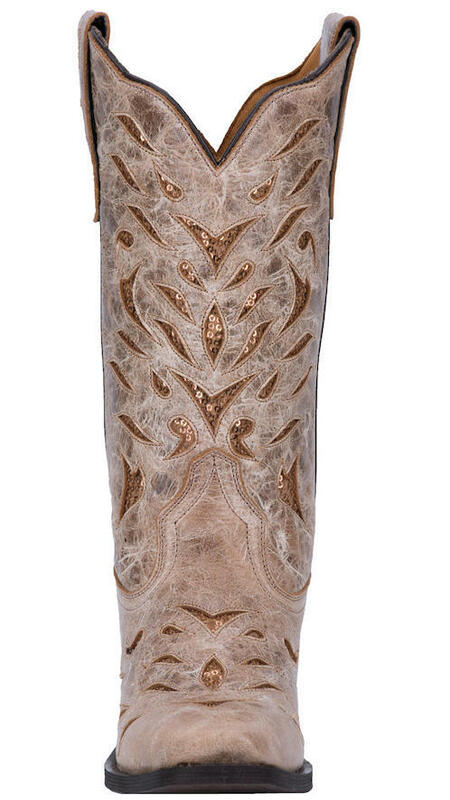 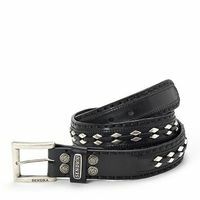 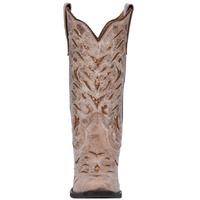 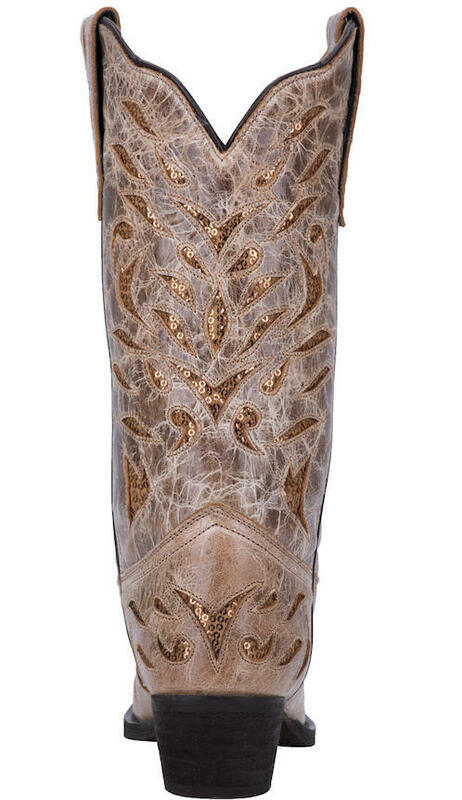 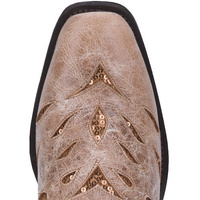 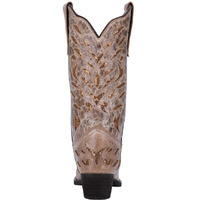 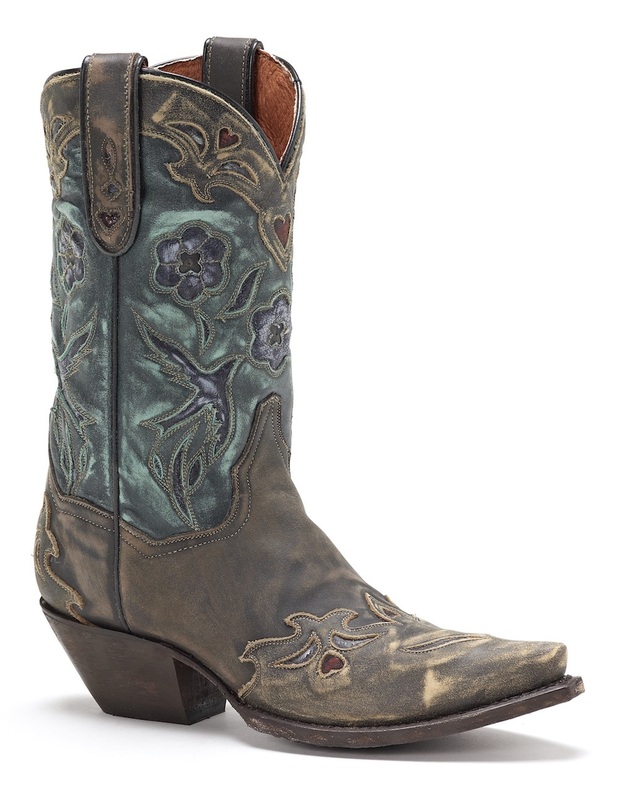 This traditional silhouette is accented with striking gold sequin underlays. 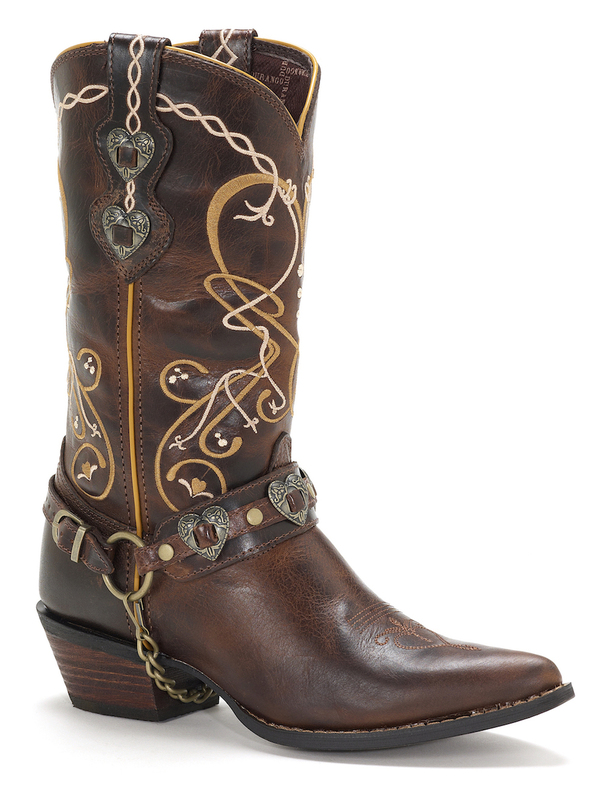 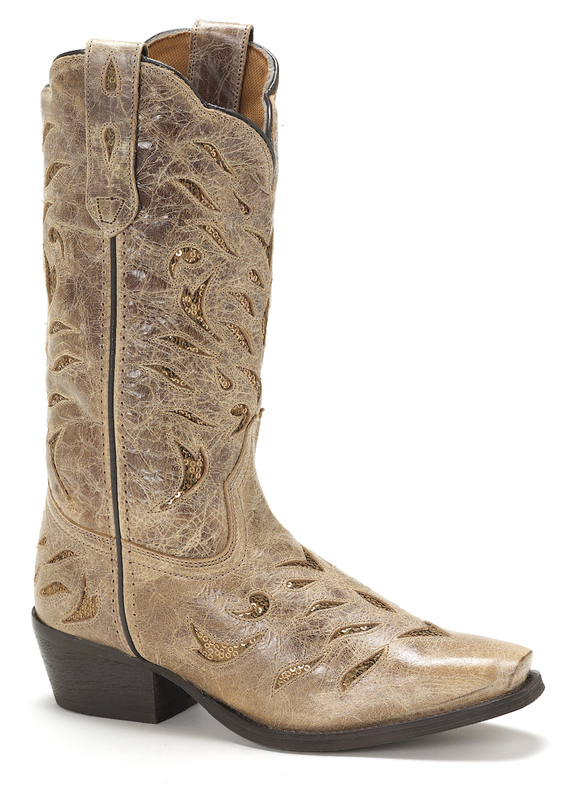 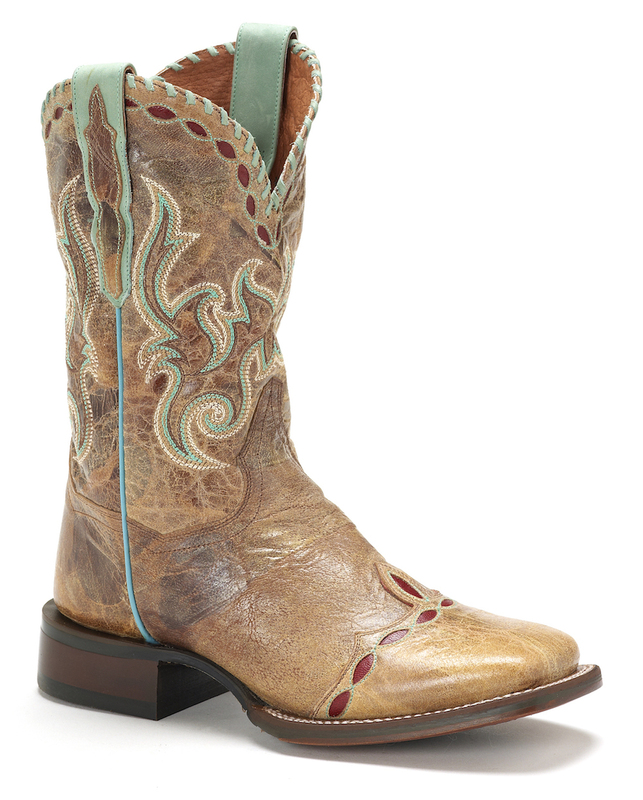 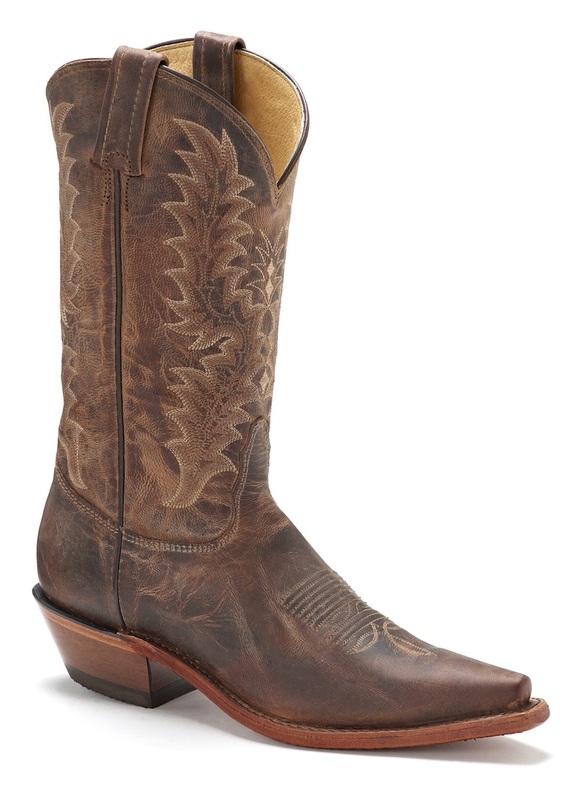 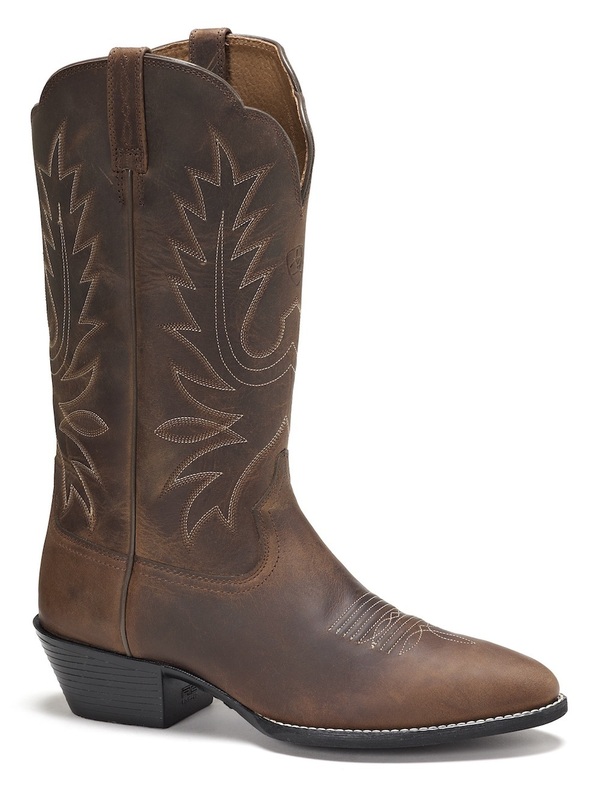 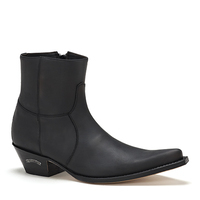 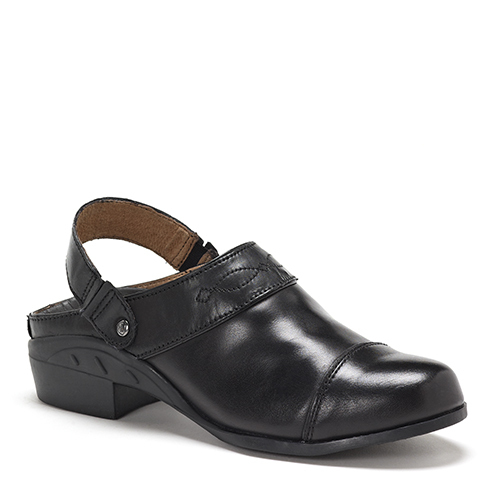 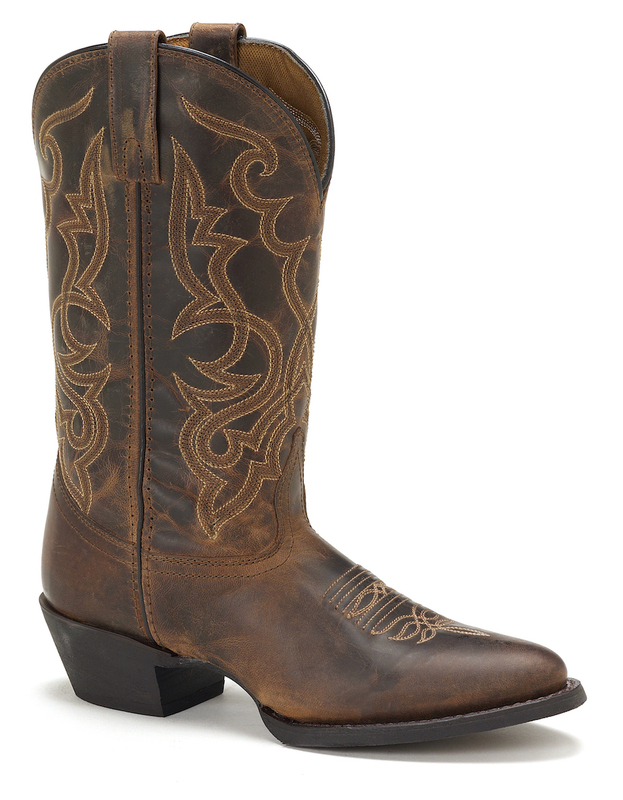 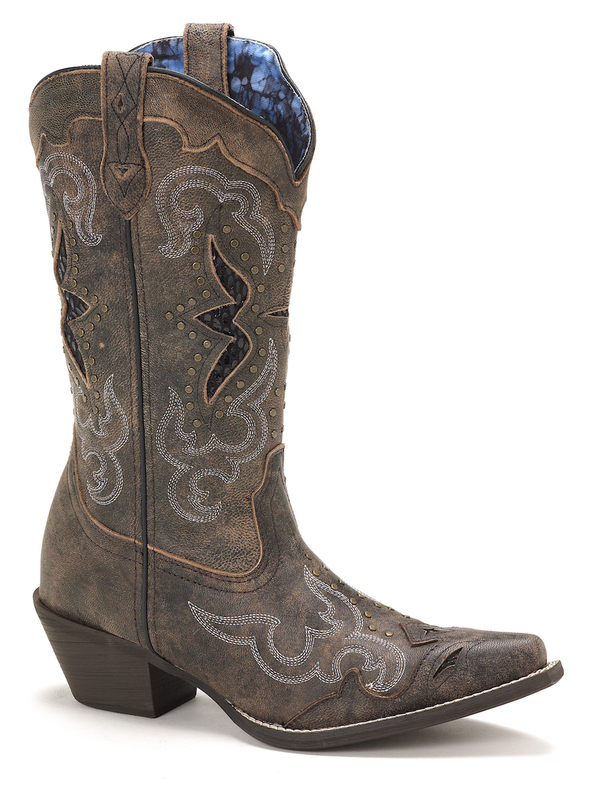 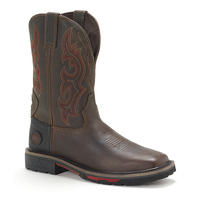 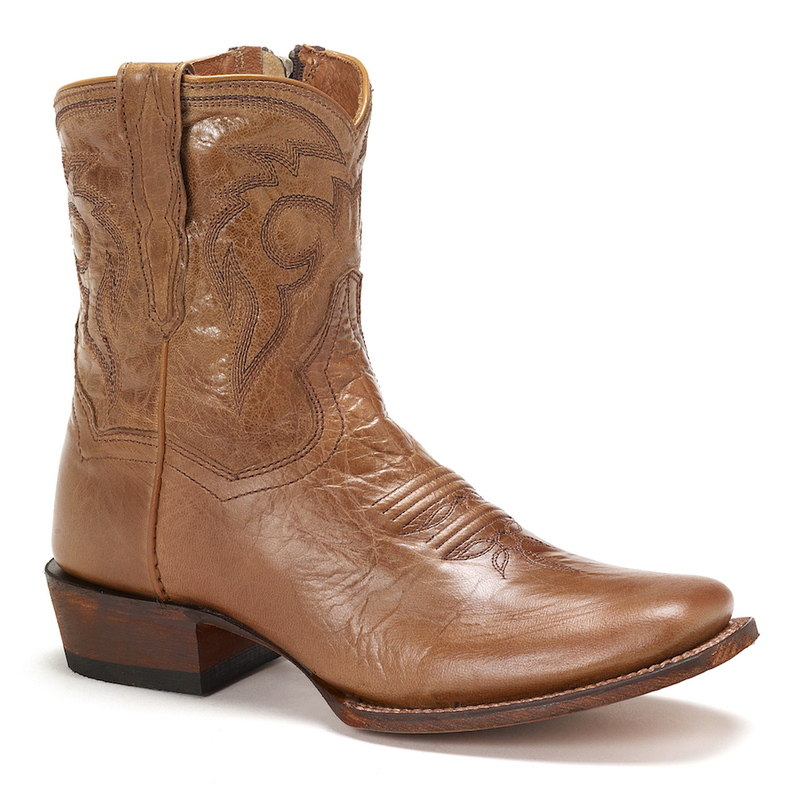 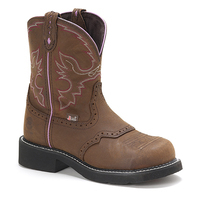 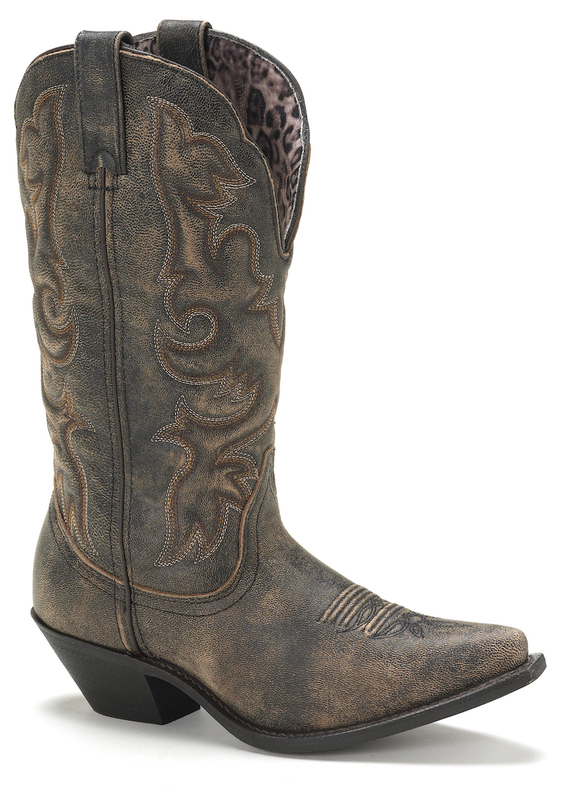 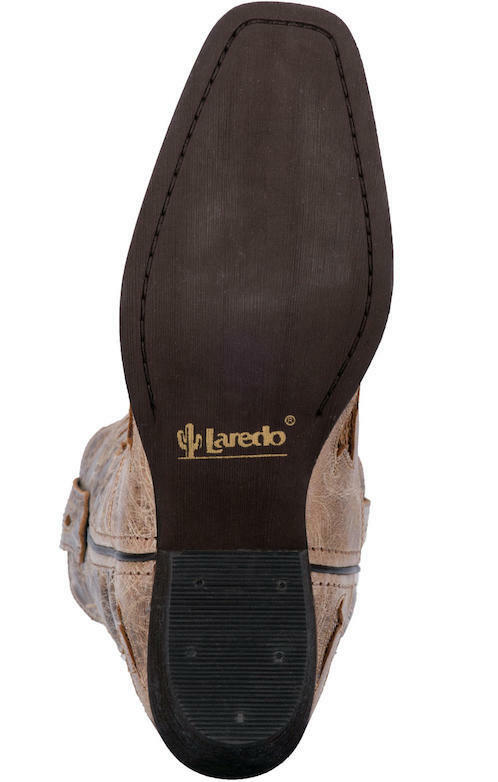 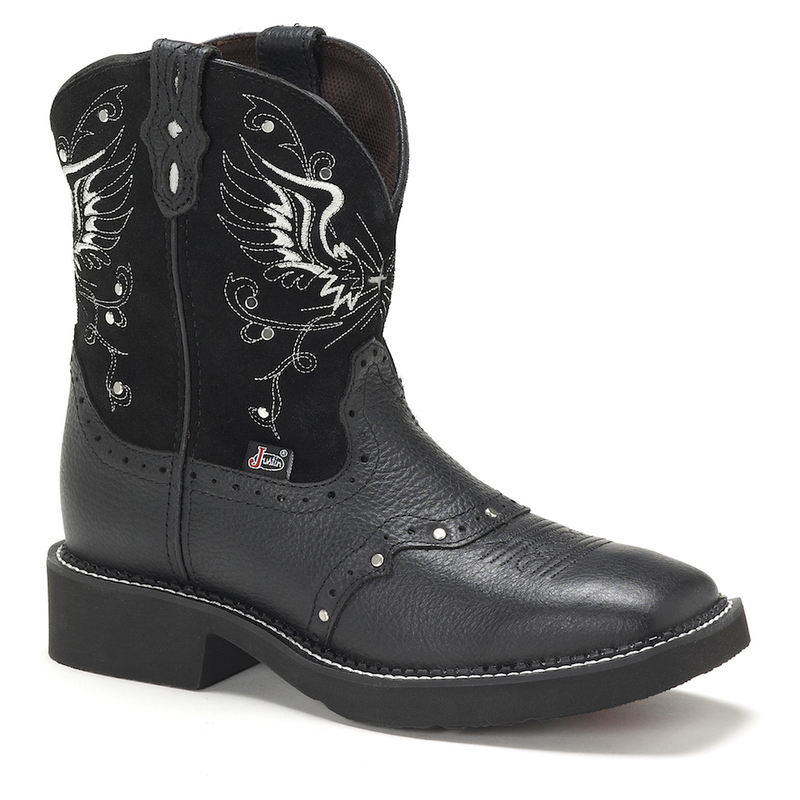 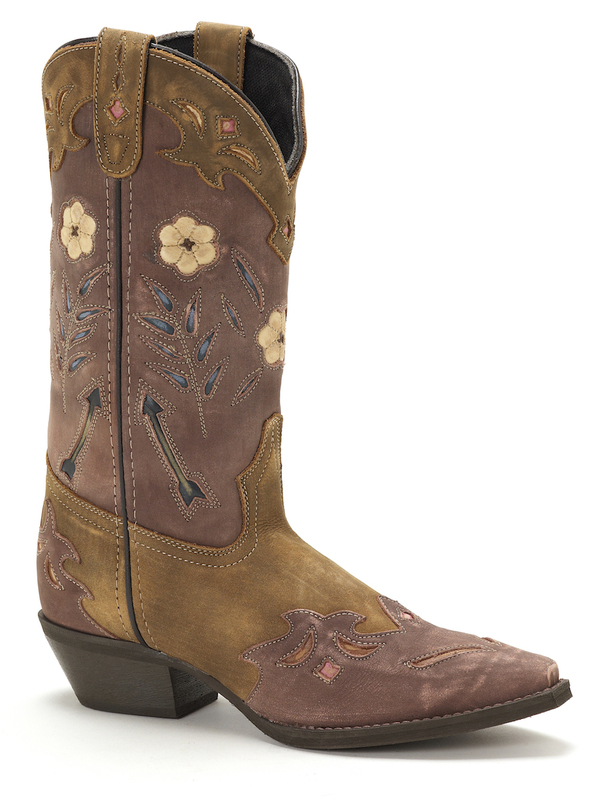 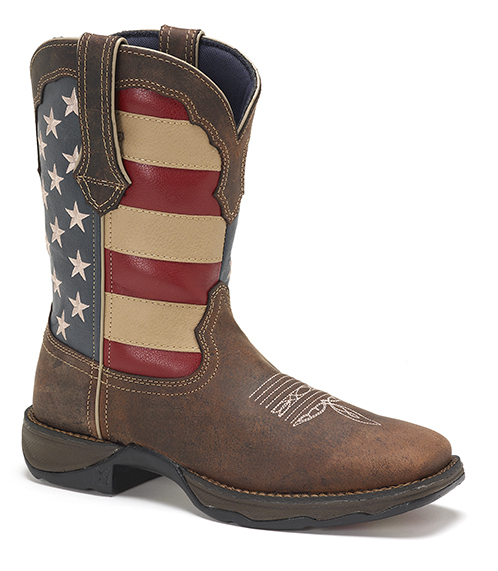 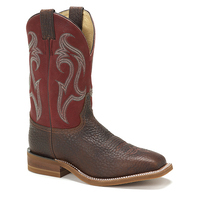 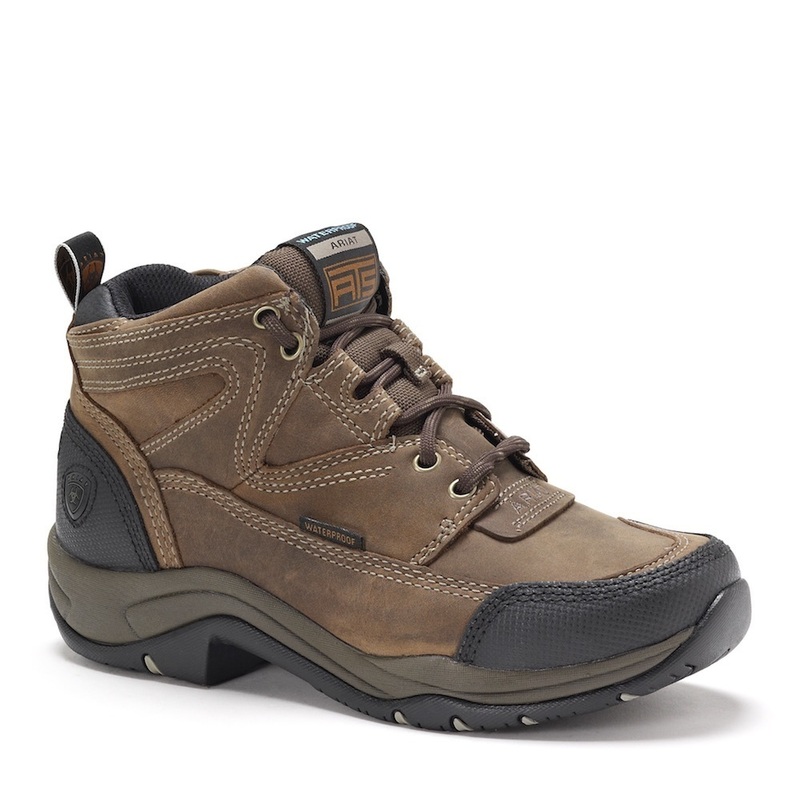 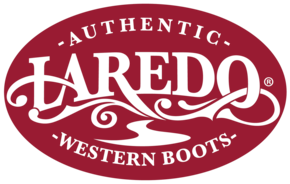 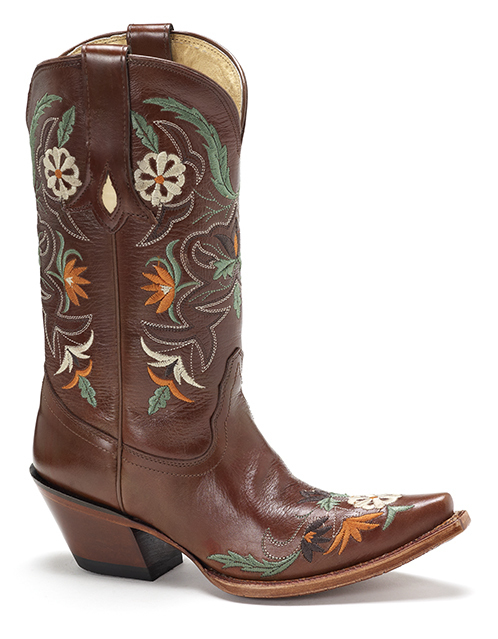 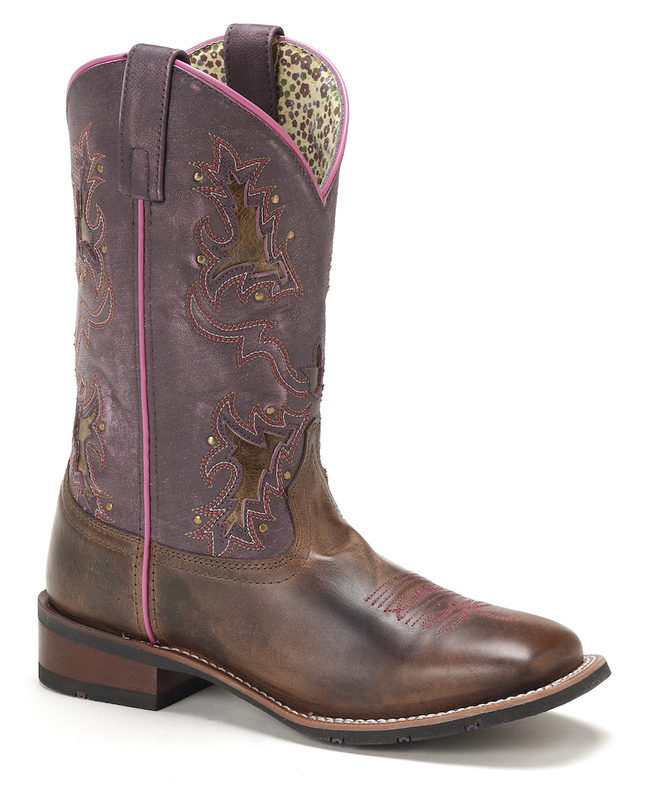 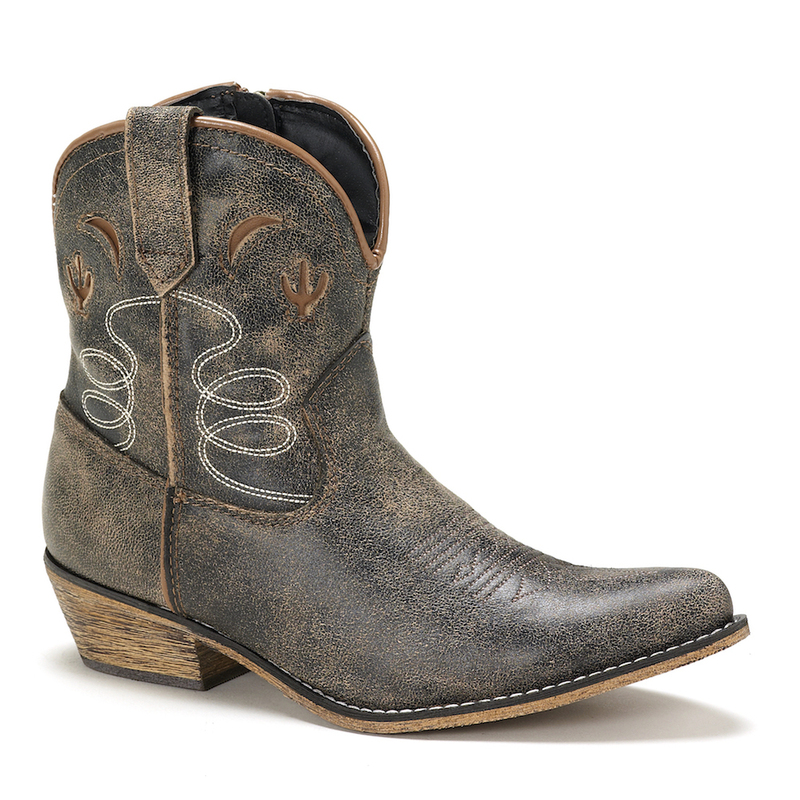 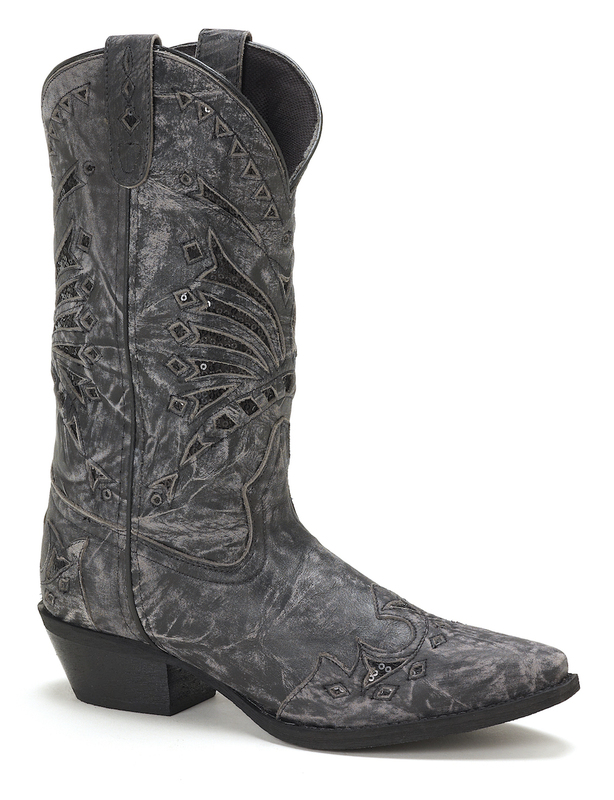 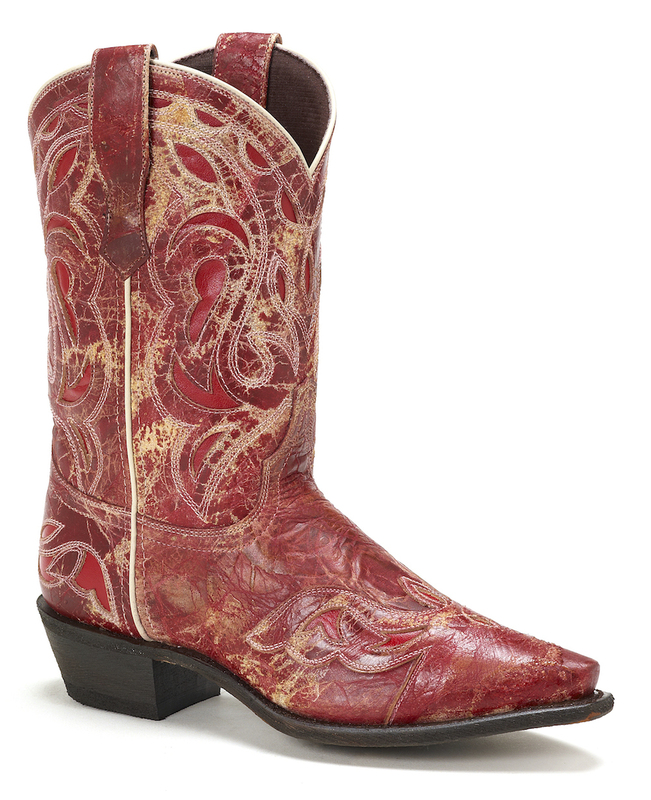 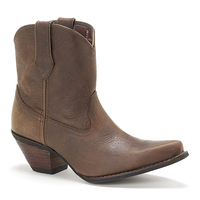 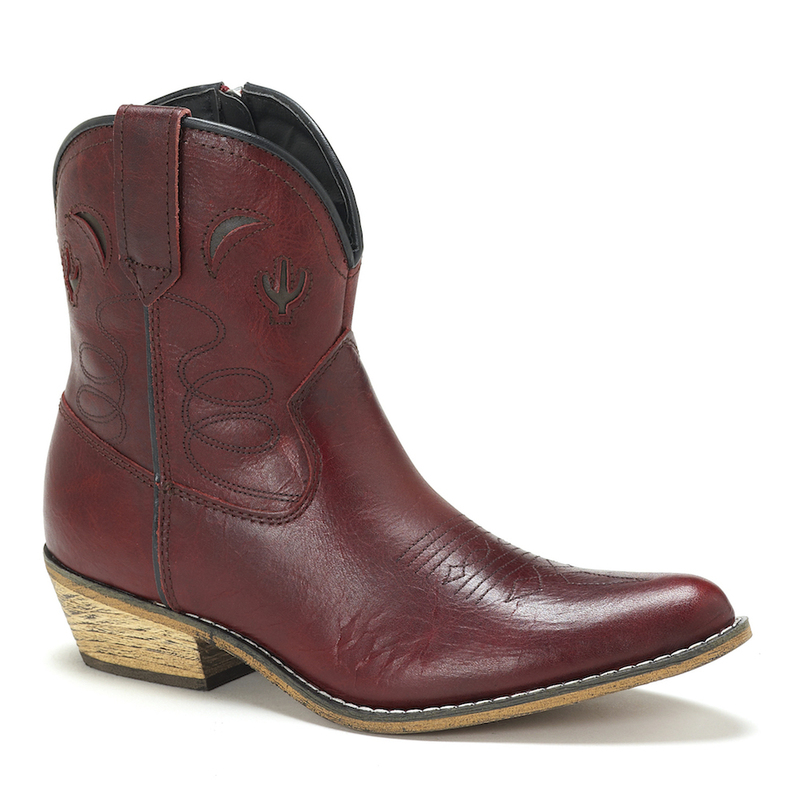 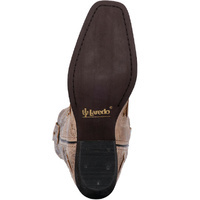 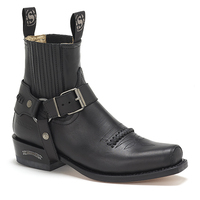 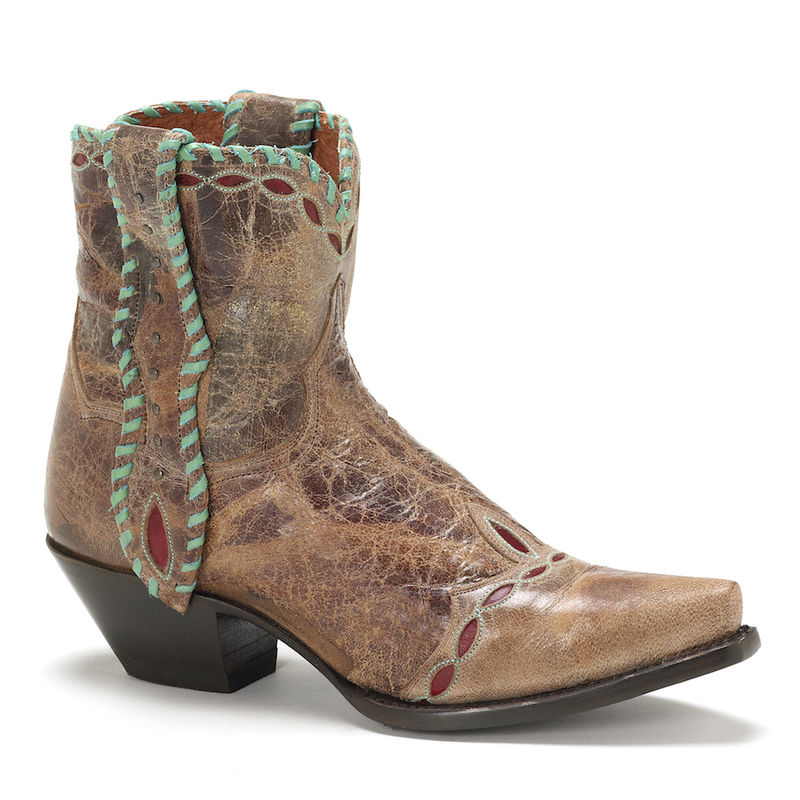 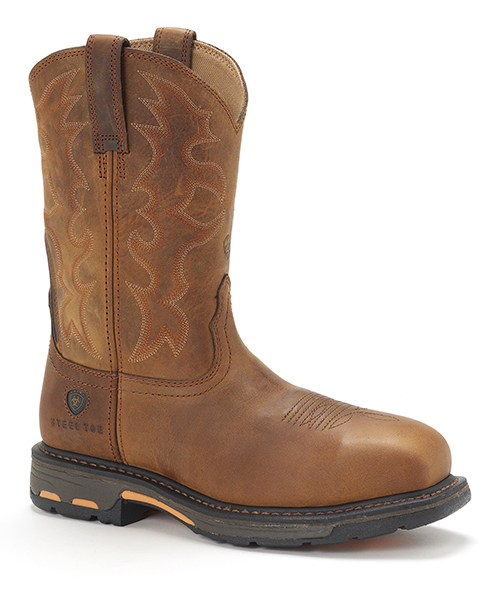 Also features a Removable Orthotic and cowboy square toe.